Getting to “yes” appears to be still a long ways off in the ongoing negotiations between the U.S. and the Kingdom of Saudi Arabia (KSA) over the terms of a 123 agreement that would cover exports of nuclear reactor technologies, DOE Secretary Rick Perry said this week. The Reuters wire service reported 9/26/18 that Perry has held talks several times with Saudi leaders this year, including with King Salman and Crown Prince Mohammed bin Salman. The focus of the discussions has been both on the short term, an RFP by KSA for two full size nuclear reactor, e.g., 1000 MW using light water reactor technology, and long term, a fleet of up to 16 similar units, including the first two, at a cost of at least $80 billion. KSA’s ambitions for both the short and long term plans were recently energized by the rising price of oil which this month inched up over the $80/bbl line. KSA has consistently assessed the financial feasibility of its nuclear energy plans based on its ability to fund them out of ongoing oil revenues rather than tapping its sovereign wealth fund. KSA slammed on the brakes for its nuclear power ambitions in January 2015 when the price of oil dropped from $100/Bbl to $50/bbl. Whether the price of oil will sustain its current level, or go higher over the 25 years it would take to build all 16 reactors, is a big unknown. The fact that KSA is in talks now for a 123 agreement suggests they are willing to roll the dice on that point. Perry’s talks with KSA have hit rocks once again due to the Saudi position that it wants the right to enrich uranium and reprocess spent nuclear fuel to counter Iran’s nuclear program. 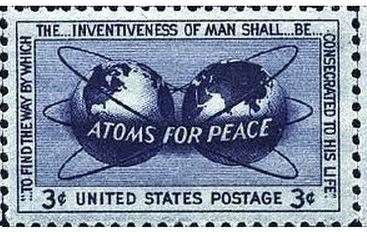 The problem for Perry is that the “gold standard” for 123 Agreements, developed under the authority of the Atomic Energy Act, call for no such activities. Indeed, the 123 Agreement with the United Arab Emirates (UAE) has these restrictions as one of its key elements. South Korea is building four 1400 MW PWR type nuclear reactors at a Persian Gulf coastal site. The first of the units is expected to enter revenue service in 2019. The design of the South Korean reactors contains U.S. technologies which meant that South Korea needed a “gold standard” 123 agreement between the U.S. and the UAE in order to close the $20 billion deal. For the time being Perry, who is the public face of the U.S. negotiating team, is sticking to his guns over the nonproliferation measures that must be in the KSA 123 agreement. He’s got air cover for the position from U.S. Secretary of State Mike Pompeo who told Congress last May that any nuclear technology agreement with KSA would be based on the same terms as are in the UAE document. Whether this policy will remain in place is a question. In August former U.S. State Department officials Aaron David Miller and Richard Sokolsky wrote in Politico Magazine that in other areas involving U.S. and KSA diplomatic relations, the Trump administration is giving away the store. Miller and Sokolsky don’t mention the nuclear technology export deal specifically in the article, but given all the other ways the White House is leaning over backwards to agree to KSA demands, there’s considerable risk that this tilt might affect the talks about nuclear energy exports. Key to implementation of any 123 agreement between the U.S. and KSA is the issue of inspections of nuclear facilities. This in this a key area on which the current talks have centered, but it is important to note that the bed rock policies of the agreement are the real issue. Perry’s other problem is that if KSA convinces the U.S. to relax its “gold standard” policy, the UAE could call for talks to modify its agreement as well further undermining U.S. nonproliferation goals for the Middle East adding to tensions there with Iran. Meanwhile, last July KSA said it has short listed South Korea, the United States, France, China and Russia to bid for a nuclear power project in Saudi Arabia and that the winner would likely be selected in 2019. This statement about “short listing” is essentially meaningless since it comprises all of the bidders. The U.S. nuclear industry hopes Saudi Arabia will agree to Perry’s terms so that it can export nuclear power technology. U.S. companies funded a trade delegation to KSA last April for this purpose. Westinghouse, which recently emerged from Chapter 11 bankruptcy, was purchased last April by the Brookfield, a Canadian private equity firm. Paradoxically, one of the firm’s key investors is the sovereign wealth firm of Qatar which is at loggerheads with KSA over multiple Middle East political issues. It’s not clear that either Westinghouse or KSA consider this to be an issue since the Qatar financial stake, as of last March, was about 7% of the total fund. Westinghouse is unlikely to win the lion’s share of the business supplying nuclear reactors to Saudi Arabia even if the Trump administration relaxes the terms of a 123 Agreement. The reasons are that South Korea has the pole position due to several factors including; success with building four 1400 MW reactors for the UAE at a fixed price, an experienced workforce with a management team that speaks Arabic, and the fact that the 1400 MW design has already been built and operated in South Korea. Neither Perry nor the KSA diplomats involved in the negotiations have put a timeline on the talks. However, Perry said earlier this year that he’d like to get an agreement in place by the end of 2018. KSA said it will make its choice for a vendor for its first two nuclear reactors in Spring 2019. Saudi Arabia is a non-nuclear weapon state party to the Treaty on the Non-Proliferation of Nuclear Weapons (NPT), and has a Comprehensive Safeguards Agreement with the International Atomic Energy Agency (IAEA). U.S. 123 agreements are routine with other countries. The U.S. has also recently updated its 123 agreement with Mexico which has plans to expand its nuclear power station at Laguna Verde. Dan Lipman, a expert at NEI on international commercial nuclear cooperation, said in a statement, the new 123 agreement will be good for U.S. firms seeking to do business in Mexico. Mexico ratified the Nuclear Non-Proliferation Treaty in 1969 and the Additional Protocol in 2004. It is also party to the 1979 Convention on the Physical Protection of Nuclear Material, ratified in 1988. Mexico is the depository of the 1967 Treaty for the Prohibition of Nuclear Weapons in Latin America (the Tlatelolco Treaty) and has been party to the Treaty since 1967. But Mexico is not Saudi Arabia and it isn’t embroiled in multiple political and sectarian disputes, including open and covert warfare, with its neighbors. Nor is it contending for regional dominance with another nation that has ambitions for a nuclear weapons program. The situation in the Middle East is a very different kettle of fish with much higher risks. The U.S. 123 Agreement with KSA, if the two parties come to terms, will have significant consequences for a lot more than the two parties involved in it. For more details on Saudi Arabia’s plans for nuclear energy see this blogs ”Saudi Nuclear Reader” which is seven articles covering its development from 2014 to summer 2018.